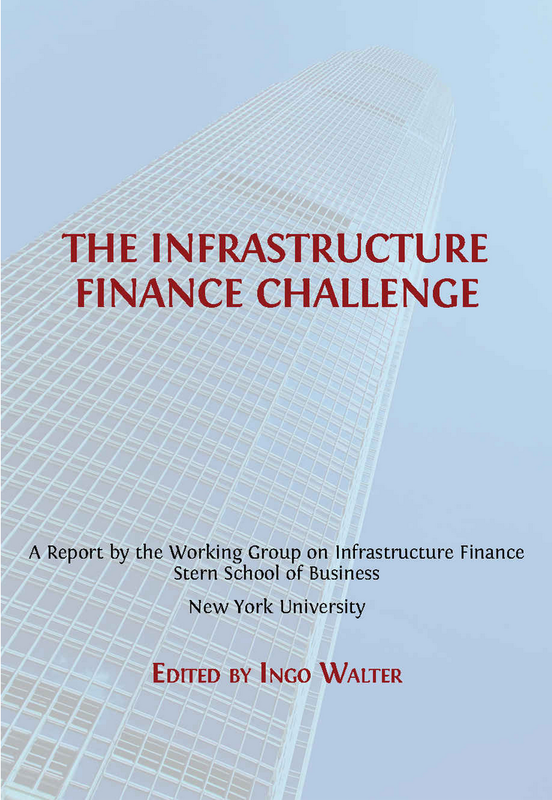 To frame the key infrastructure finance issues, a faculty White Paper was drafted in 2015 and discussed in a symposium of selected non-Stern experts in April 2016. The White Paper was edited by Ingo Walter and the authors included Pankaj Ghemawat, Professor of Management; Joel Hasbrouck, Professor of Finance; Michael Posner, Professor of Business and Society; Paul Romer, Professor of Economics; Michael Spence, Professor of Economics; Paul Tice, Executive in Residence; Stijn Van Nieuwerburgh, Professor of Finance; Ingo Walter, Professor Emeritus of Finance; Tensie Whelan, Professor of Business and Society; Lawrence White, Professor of Economics; and David Yermack, Professor of Finance. The work program of the Infrastructure Initiative can be described as policy-relevant academic research and education in infrastructure finance, leading to three areas of activity: (a) Generation and dissemination of insights in the form of targeted publications, (b) Convening of conferences and symposia on infrastructure finance and participation in such activities elsewhere, and (c) Creation of a serious teaching capability at Stern in the form of course development and case-writing on project and infrastructure finance. The objective is to eventually have Stern identified in the academic, policymaking and business communities as a useful and creative resource on infrastructure finance. B40.3186 – Project Finance and Infrastructure Investment This course is taught by Profs. Tommaso Albanese, Paul Tice and Ingo Walter in the fall, spring and summer terms. A second course on Energy Finance will be offered in the 2018-19 academic year. Students interested in infrastructure finance may also wish to choose appropriate courses in Real Estate Finance. The Infrastructure White Paper is open-source and available free of charge. Hardcopy is available through Amazon.